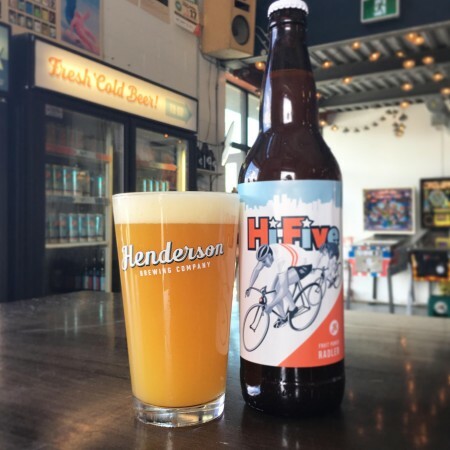 TORONTO, ON – Henderson Brewing has announced the latest in its Ides Series of monthly limited edition beers, with this month’s edition being the 3rd annual radler release to mark Bike Month. Hi-Five Fruit Punch Radler (4.6% abv) was made with pineapple, passion fruit, lime, and tangerine juice. It’s described as “light, refreshing, and the perfect accompaniment for bike riding and summer living,” and local bike shop Brockton Cyclery is a featured partner on the label. Hi-Five Fruit Punch Radler is now available in bottles and on tap at Henderson and select bars and restaurants in Toronto while supplies last.